Gather round kids! Its time for FAMILY WORSHIP! But family worship doesn’t have to be the living room version of the Sunday morning worship service your kids hate to be awake for. This command that Jesus in Matthew 22 noted as The Greatest Commandment, calls us to worship God with body, mind, and soul. This isn’t a command that only applies itself for two hours on Sunday morning at Forest Drive. The call of the Gospel is day and night, in all aspects of life. So how do you translate that to leading your family in regular worship? Family worship is more about leading and shaping your family in the Gospel by daily reminders that God and His mercy are sufficient than about singing what’s hot on Spotify this week. Pray Together - We pray as a family a few times a day, but this practice also comes with our bedtimes. We all take turns praying and listening to each others prayers. We try and encourage our kids to thank God for something He’s given us, and to pray for a friend or family member each night. Sing Together - Singing is crucial part of the Christian life. It’s commanded over and over, and if you want to learn more about that, you can click here. Sing with your kids. Sing worship songs together. Sing in the car together. You don’t have to be a ‘pro’ or play an instrument to do it. Take turns trying to make up a song while singing the Psalms. It might sound bad, but who cares. You’ll all laugh, and have a great time. Or maybe you’ll come up with a hit, and then you can let me know and we’ll sing it together as a church! 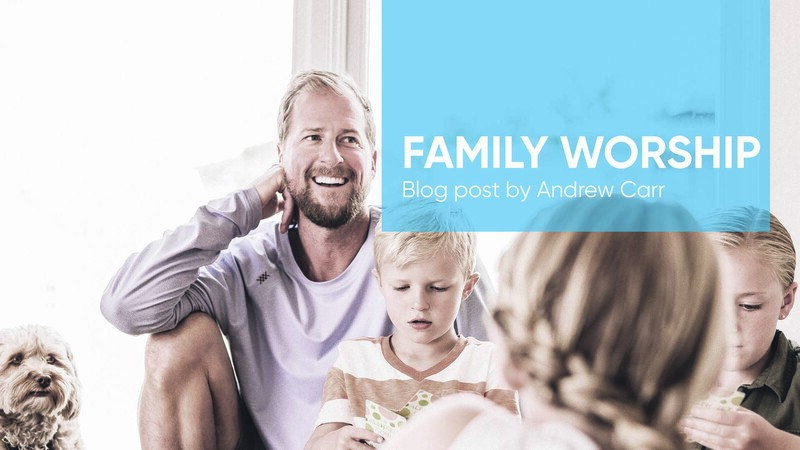 Family worship time doesn’t have to be a rigid, daunting practice. Just try and make it a regular practice. Show your kids the daily importance of relying on the Gospel with the goal of establishing that your home is one that glorifies God.